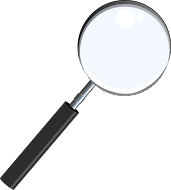 Carnegie: Magic Detective: Tommy Cooper - Just Like That! I love being able to re-introduce entertainers from yesteryear. The gentleman whose life I'm going to share with you today is someone I didn't really know much about until a couple of years ago. I had heard the name but had no idea who he was. 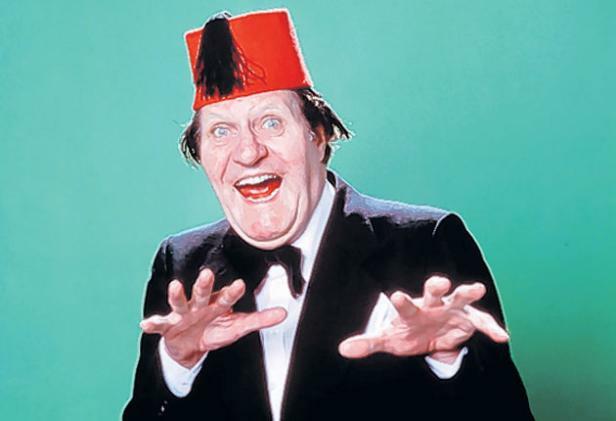 His name is Tommy Cooper, and if your from England then you no doubt know of him. But here in the U.S. he is not as well known, which is unfortunate. Tommy Cooper was a comedy magician, kind of in the style of Carl Balantine where none of the tricks he presented worked. In real life Tommy could present magic but for whatever reason he decided to use do more of a lampoon act rather than a regular magic act. Good thing he did too because in the 1960s-80s Tommy Cooper was a big name in show business. He was born in 1921 in South Wales. When he was 8 years old young Tommy received the gift of a magic set from a relative. A few years later while serving in the military Tommy was chosen to work with a group entertaining the troops. His act began as a comedy magic act. While in Egypt he acquired his trademark 'Fez' cap when he forgot the hat that he usually used in his act. The Fez got so many laughs he continued to use it throughout his career. In the 60s he broke into television with his own weekly show and would remain a staple on english television right up until his death. His final performance was on LIVE TV on the show Live From Her Majesty's. Tommy died of a heart attack while doing his last performance. One of the great things about the Internet is that Tommy Copper's performances can be viewed on Youtube for new generations to enjoy. The first time I watched Tommy Copper I couldn't help but love his approach. He had a way about him that was so entertaining and refreshing. I didn't care that his magic didn't work, it was funny. 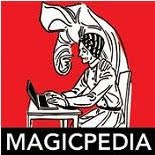 And he didn't demean the magic, which I often see when I watch comedy magicians. He just enjoyed the folly. Many consider him a comedian first and a magician second, and I think that's a pretty fair assessment. Many of his jokes and lines were corny but somehow he could deliver them and make you laugh. He was incredibly funny, but he would also occasionally have a trick work correctly which I'm sure would surprise his audiences as much as it surprised him! The main reason I decided to look up Tommy Copper and find out more about him was because I had seen an interview with Anthony Hopkins, the actor, and he was telling a story about Tommy Cooper and just raving about him. Then a later, Mr. Hopkins was present at the unveiling of a statue dedicated to Tommy Cooper. If Anthony Hopkins thought he was great, then I figured there had to be something to this guy. Sure enough, Mr. Cooper made me laugh as well. 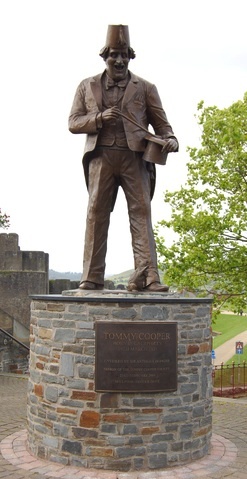 I'm a HUGE Tommy Cooper fan now that I found him, but yes, it's unfortunate that he didn't become bigger in the US. Apparently, he had come over to the US to perform and was really successful. He had been on Ed Sullivan Show a couple times and I think I read that he played in Vegas too. But all that was before my time.